It has taken five years and a complete revamping of the band. Many people didn’t think it would happen, and with good reason. However, The Shins have made a splash in the music scene again, releasing Port of Morrow after years of anticipation. Frontman James Mercer is the only one still remaining since 2007’s Wincing the Night Away, but you’d never know it from listening alone. Mercer hasn’t missed a beat, and Port of Morrow is a welcoming return for The Shins. 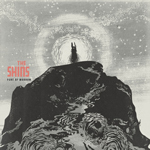 Beginning the album with “The Rifle’s Spiral,” Mercer shows that The Shins have no intention of creeping back into focus. They are here to stay. The first single, “Simple Song,” serves as a deserved farewell to the band of old, and after those two tracks Mercer’s familiar songwriting brings back what made The Shins such a large part of the Indie scene in the last decade. If you have yet to hear Eric Church’s single “Springsteen,” log on to your computer right now. The third single off Church’s critically acclaimed album chief, Church has finally hit the sweet spot of country music. Evoking memories of summer at dusk with a drink in your hand and your favourite person swaying to the beats of a song that perfectly fits the moment, “Springsteen” leaves little to be desired. In all seriousness, if you’re not a country fan, download this one song and it will show you that country music has come a long way. Now let’s hope Mr. Church makes a Calgary appearance soon. Stampede anyone? Rise of the King is the second album released by hip-hop artist Tyga. His first album No Introduction, didn’t gain much steam other than being featured in some prominent video game franchises; Madden 2009 and Need for Speed: Undercover. After winning a Grammy with the much-maligned Chris Brown on the single “Deuces,” Tyga felt it was time to release his own album. Rise of the Last King features a familiar hip-hop sound that doesn’t shy too far away from formula. The track “I’m gone,” a team-up with Big Sean, has a slower pace which fans of Canadian rapper Drake would be a fan of. Nothing earth shattering, just regular hip-hop boasting on a decently produced beat. “Careless” sounds like a throwback to the Wu Tang Clan’s Method Man. Clearly the worst clan member but one nonetheless. Buy this album if you want decent beats and don’t really care how conscious your artists are.